This was excellent! Exactly what I was looking for! Thanks for your help and I won't hesitate to contact you for further needs in the future. When you want to update your personal information, to know how to write a professional makeup artist biography or add a barber bio to your website, we can help! These tips on how to make a perfect barber bio will have you representing yourself and your barbershops well in no time at all! Even if it’s a Samuel Barber bio (famous orchestra composer) your readers searched for in order to find your website, our professional niche writers will have them longing for your professional haircare skills in no time flat. The first thing to consider is visual. You want to add a headshot or portrait of yourself to your barber bio. Be sure to have a genuine smile, a clutter-free background and good lighting for the picture. This is the first thing readers will notice. Second, you want to provide an authentic but brief history of your professional barber’s experience. Not many want to entrust themselves to a person without knowledge of professional hair care or with little to no experience when it comes to hiring a new barber. Let the readers know they are in good hands with you by detailing a bit about your best haircuts. You don’t have to have a famous barber bio to entice readers, simply having a history of creating a satisfied clientele in the past will go a long way in helping you to obtain new business, and/or reader interest. Third, keep your content relevant. You don’t want to write a makeup artist biography, or priest biography even if you have experience or degrees in either. This is a barber bio so keep the facts pertinent and related only to you and your ability to provide a good haircut. Offering too much information can trigger other ideas or thoughts that send readers in search of something new. Instead, carefully write your words so they can focus only on the immediate task at hand. That is the beauty of today’s technology, it provides an overabundance of information, so much so that it is easy for us to become distracted. Help the readers keep it simple by focusing on your barber abilities alone. Finally, you want to add a few fun tidbits about yourself, perhaps something to do with family life, hobbies you enjoy, causes you to support (if they are neutral in nature), etc. This allows readers the chance to find something they can relate to with you on a personal grade, versus just a professional one. It can go a long way in making readers feel valued and welcomed. They appreciate you sharing a piece of yourself. Johnny Haircut has secured a steady clientele throughout the years who appreciate his keen sense of style. His willingness to stay current with new barbershop phases and trends, as well as his ability to also remain true to the classic cuts bodes well for anyone wishing to look their very best. This allows readers to know Mr. Haircut isn’t just stuck in one frame of mind when it comes to styling. He embraces diversity and has a good feel for providing just what the client has in mind, else he wouldn’t have such a loyal client base. It also proves him to be an experienced barber. In his free time, Johnny Haircut and his wife enjoy visiting comedy clubs around the state (he appreciates a good cut up), paddle boarding (he’s always been good with waves) and climbing the Rocky Mountains (though he does also have a fine appreciation for a good flat top). When he’s not found in the barbershop, you might find him volunteering time at the local animal shelter (Barbers for Dogs) or lending a hand in the neighboring soup kitchen. Extending his good fortune in life to reach others who might be facing hurdles has always been a priority. Such an excerpt is lighthearted (the barber-related jokes) and meaningful (lending a hand to the less fortunate) at the same time and gives the reader of a sense of who the person is behind the barber. First and foremost, you don’t want to include prices for any of the services you are selling. This comes across more like a pitch to gain business than it does a place to welcome and inform. Second, forgo the desire to put up photos of haircuts you have given in the past. One reader’s styling preferences may be very different from another and if you happen to post pictures of a haircut that a potential client does not like, it can lead to them instantly leaving your website. The rare exception would be if you posted photos of yourself working on a celebrity haircut. Let others experience barber bio finesse at its finest by leaving out irrelevant information. Nothing distracts faster than happening across a bio filled with information that has absolutely nothing to do with anything you are hoping to find. Keeping the info interesting and relevant will lend itself nicely to your readers sticking around. Why Our Barbershop Bio Writers Are a Good Fit for You! If all of this sounds a bit overwhelming, that is fine. Biographies are one of the most common requests we get for writing. With years of experience that pertains to representing people in the best light, deadline guarantees, around the clock availability and quality assurances in place, you can’t go wrong with professional bio writing services like ours. We are a good fit for you, and we back that with our 100% money back guarantee. 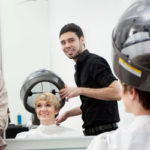 When writing a hairdresser bio, you must use a unique and attention-grabbing content that attracts the customer. 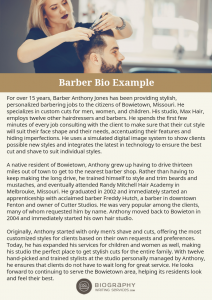 So we will produce a compelling barber bio that will attract your customers. Our staff’s writing experience will let your profile picked by the potential customers so that you will be their regular seller. 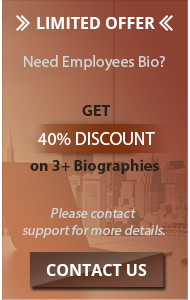 Our customers are highly satisfied with our years of expertise in writing these bios. We fulfill all of our promises and customer satisfaction is our first priority. We can write a bio that will be tailor-made to your barber business and career. The process to get started only takes a matter of minutes. Reach out now, and let us help you figure out how to make a perfect barber bio today!